Wishing Wall looks at re-imagining how we share our innermost wishes with the world. What if you could say your wish out loud and have it magically released into the world for people to see? In this piece spoken words are transformed into butterflies that are diverse in form and colour as they represent the sentiment of the spoken words. 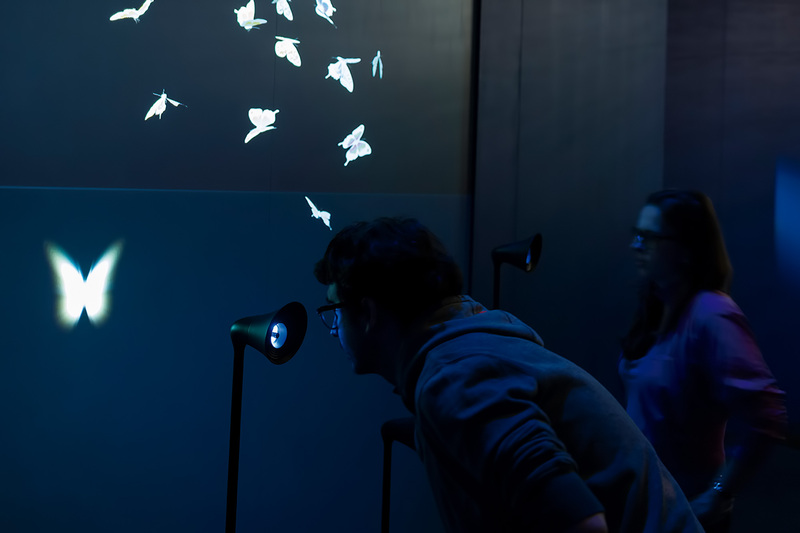 The gallery visitors are invited to interact with the butterflies and discover released wishes. Our intention is to retain the magic around making a wish, and at the same time, slightly alter the traditional approach around it. Hence, our aim is to encourage saying a wish out loud and explore made wishes by playfully interacting with the butterflies. Yes, a spoken wish turns into a butterfly. Each butterfly carries a wish that can be released when one catches the butterfly or lets it land on his/her arm. In addition to that, we want to understand and also visualize the sentiment behind the spoken wish. The idea is to turn the feelings into the butterfly’s appearance. Since those insects are very colourful and in different size, it makes sense applying their attributes for representing different moods of wishes. For this we have used Robert Plutchnik’s Wheel of Emotions, which maps eight basic emotions to colours, for instance, joy is yellow and red is anger. The sentimental analyses of made wishes is realized with Word-Emotion Lexicon by Saif Mohammad, a researcher at the National Research Council Canada (NRC). Technically speaking, all the visual part of the work is realized with code using Tree.js. 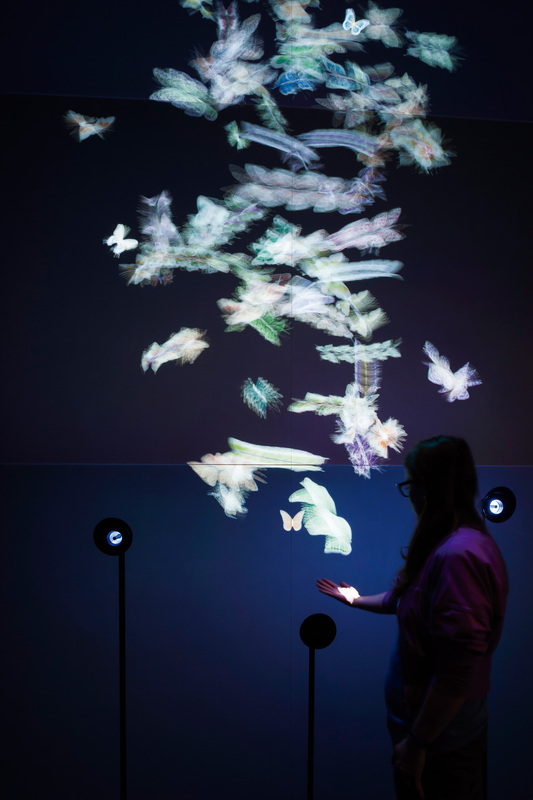 The art piece is commissioned by Google and Barbican Centre, and is part of Digital Revolution exhibition. Acknowledgements to Google Creative Lab team and Barbican for all the help and support to with the project. See process of work and open source code and design in github.